Backlinks are the incoming links to a Website or Blog. The Quantity and Quality of backlinks are very important for Search Engine Ranking. Its Can makes your Website Popular. You can count it as Health or strength of your Site/blog. When Search Engine Calculates the relevance of a site to a keyword, they consider the number of Quality Backlinks/Inbound Links to that website. previously i got an amazing PR Chart which shows the importance of Backlinks. Yes, After Understanding the Chart i was like [ How to get it ? o.O] I tried Many Ways, but most of the Backlink Builder websites Create poor Quality Backlinks. Which Gives a Negative Impact of our Webiste. For Example : You have a Website Related to Technology and the backlink Builder Created Backlinks which Adult Sites, That Can Create a Negative Impact of Website and your Reputation. Isn’t that? Yes, So i was lil Tensed about it. But, I Surfed a lot on Blogs and Sites to get something useful Stuff. I got some Methods to Create Backlinks Manually and Also Some High PR Backlink Builders Which are 100% Scam proof. Google+ is one of the Best Leading Socail Networking Website. Which is Covering PR9 Page Rank. 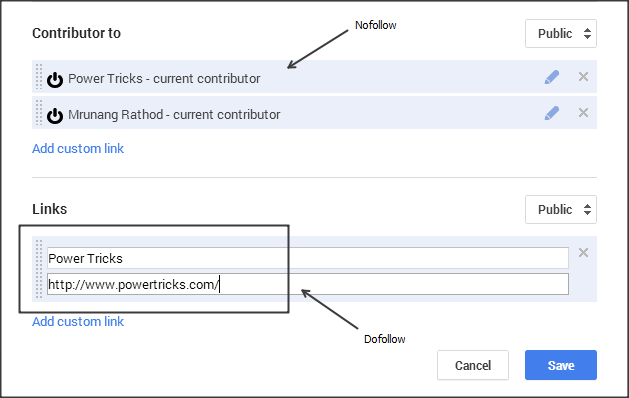 Getting Backlink From Google plus is very simple. – Go to your Google Plus profile page. – Now, in Story Section Add Tagline and introduction. 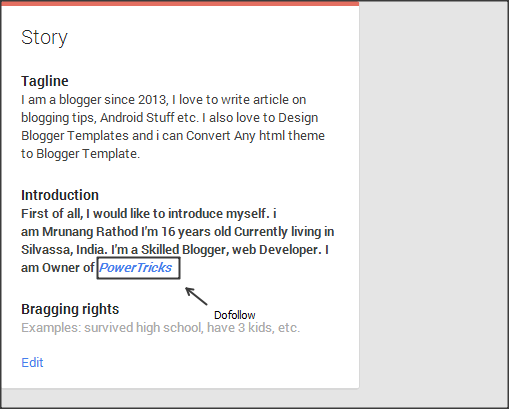 with your Blog URL which will also create a Dofollow Backlink. 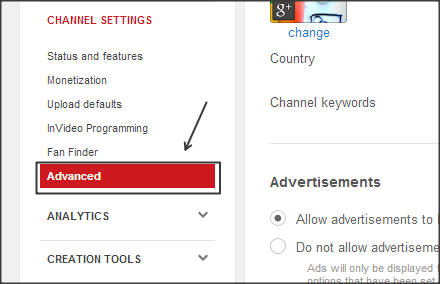 – Click Dashboard > Click Channel Setting. – Now click on “ADVANCED” Tab. – Now in click “Associated Website” and add yours Website URL there. – Signup with complete details and Add your Blog/Site Link in “Homepage” Section. These are the List of Some Backlink Builder Websites. All you need is to Submit your’s Website And Watch t.v 😀 It’s all automated nothing much to do. And get high Quality Backlinks for free. – Just Enter the Link And fill out the correct captcha. I hope you Enjoyed the Article 😀 Please Comment Below and Share the Content 🙂 Thanks for Visiting Powertricks.